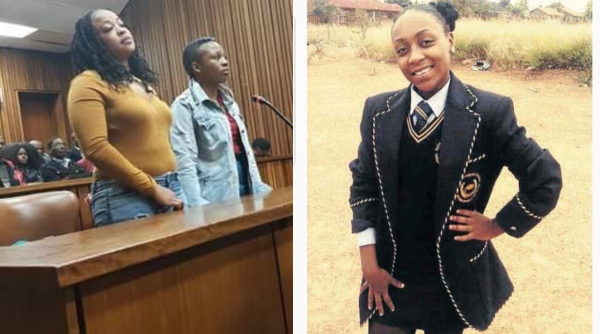 Two ladies, Gugulethu Thwala and Koketso Moyo who were laughing while burning a schoolgirl to death for dating their ex, have been jailed by a South African High Court. The suspects who burnt 19-year-old girl, Boitumelo Dlamini, to death for dating one of their ex boyfriends, Tokelo Makhelepho in the company of two others who are yet to know their fate, recorded the sad incident in a video. Gugulethu Thwala and Koketso Moyo who were laughing as Dlamini was screaming, were handed 18 and 14 years in jail sentence respectively. The ladies who were handed 18 and 14 years respectively for murder, got an additional 5 years for kidnapping over the incident which occurred in 2015. The Brits magistrate’s court heard that the schoolgirl who was burnt to death in Klipgat near Letlhabile in North West, died pleading for mercy. “She [Boitumelo Dlamini] was asking Cynthia Mosopi to forgive her. She told her she was sorry,” Gugulethu Thwala told the court. Thwala, Mosopi, Koketso Moyo and Victor Pilane were charged with kidnapping and murdering Dlamini. The four allegedly kidnapped Dlamini at school in Letlhabile near Brits, after Mosopi accused her dating her former boyfriend. Dlamini was allegedly doused with petrol and set alight. 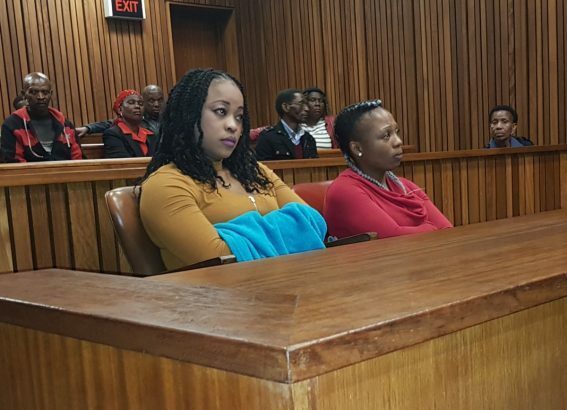 Thwala, also known as Sharon, told the court that on June 18, she met her friends Moyo and Mosopi in Letlhabille, from where they drove in Moyo’s parents’ car to Eletsa High School to meet Dlamini, 19. “Cynthia told me she wanted to discuss something with Boitumelo,” she told the court. On arrival at the school, Cynthia had called Boitumelo and she gotten into the car and they drove to Klipgat. “When we arrived in a bushy area, Cynthia told Koketso to stop the car and she forcefully dragged Boitumelo out of the car. She slapped her and poured petrol over her. “I tried to restrained Cynthia and petrol splashed onto me. I then saw Victor Pilane recording the incident on his cellphone. I screamed at him to help free Boitumelo from Cynthia … at that moment I heard a bang sound and saw Boitumelo was burning. “Cynthia was also burning on her feet, she ran to Victor for help while Boitumelo ran in the opposite direction,” Thwala testified.